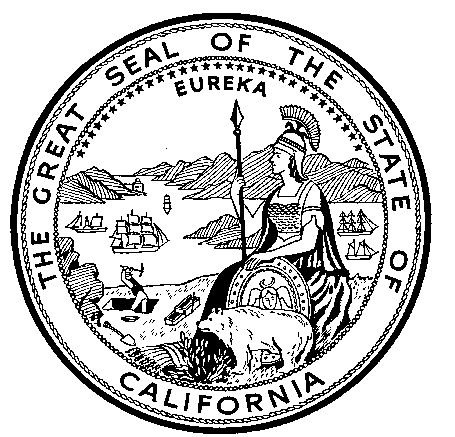 This document is presented as an example of the regulations for a Firearms dealer and was correct when it was issued, but the State of California may have updated it, so make sure that you check to see what the current regulations are. 2. Firearms secured with a hardened steel rod or cable of at least one eighth inch in diameter through the trigger guard of the firearm. The steel rod or cable shall be secured with a hardened steel lock that has a shackle. The lock and shackle shall be protected or shielded from the use of a bolt cutter and the rod or cable shall be anchored in a manner that prevents the removal of the firearm from the premises. 1. A windowless steel security door equipped with both a dead bolt and a doorknob lock. 2. A windowed metal door that is equipped with both a dead bolt and a doorknob lock. If the window has an opening of 5 inches or more measured in any direction, the window shall be covered with steel bars of at least 1/2 inch diameter or metal grating of at least nine gauge affixed to the exterior or interior of the door. 3. A metal grate that is padlocked and affixed to the licensee's premises independent of the door and doorframe. (B) All windows are covered with steel bars. (C) Heating, ventilating, air conditioning, and service openings are secured with steel bars, metal grating, or an alarm system. (D) Any metal grates have spaces no larger than 6 inches wide measured in any direction. (E) Any metal screens have spaces no larger than 3 inches wide measured in any direction. (F) All steel bars shall be no further than 6 inches apart.